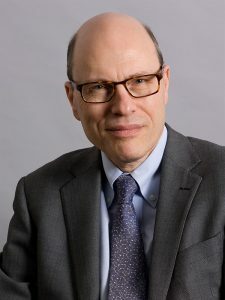 Joshua Rozenberg is Britain’s best-known commentator on the law. In 2012 he was included by The Times in its independently-judged list of the UK’s 100 most influential lawyers, the only journalist to feature in the Times Law 100. Joshua was the BBC’s legal correspondent for 15 years before moving in 2000 to The Daily Telegraph, where he edited the paper’s legal coverage until the end of 2008. He is a regular contributor for the Guardian, and also writes a column twice a month for the Law Society Gazette. He appears regularly on Sky News, the BBC news channel and other news networks in the UK and the US. He has also been a guest on popular entertainment programmes such as the One Show and the Alan Titchmarsh Show. After taking a law degree at Oxford he trained as a solicitor, qualifying in 1976. He holds honorary doctorates in law from the University of Hertfordshire (1999) and Nottingham Trent University (2012). He is accredited as a mediator by the ADR group, though he does not practise. He is an honorary bencher of Gray’s Inn.